Showing results by author "Edward C. Raymer"
On December 7, 1941, as the great battleships Arizona, Oklahoma, and Utah lie paralyzed and burning in the aftermath of the Japanese attack on Pearl Harbor. 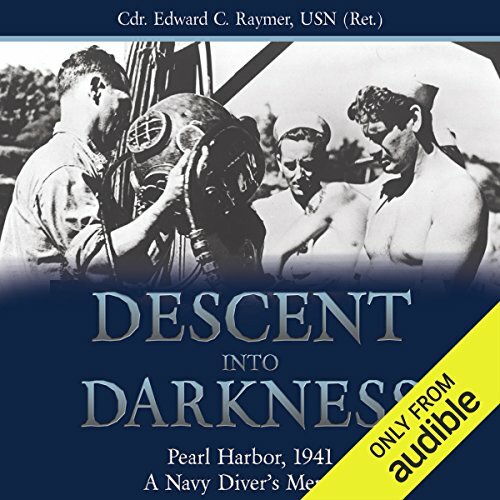 A crack team of U.S. Navy salvage divers headed by Edward C. Raymer are hurriedly flown to Oahu from the mainland. Their two-part orders are direct and straightforward: (1) rescue as many trapped sailors and Marines as possible, and (2) resurrect what remains of America's once mighty pacific fleet. Descent Into Darkness tells their story.